Upon hearing that neither Oakland County, nor it’s Road Commission, had funds in their budget to pave the road leading into the Great Lakes National Cemetery Frank Torre, CEO of Signal Restoration Services and Vice-Chairman of PuroClean, donated the funds needed to pave Belford Road. 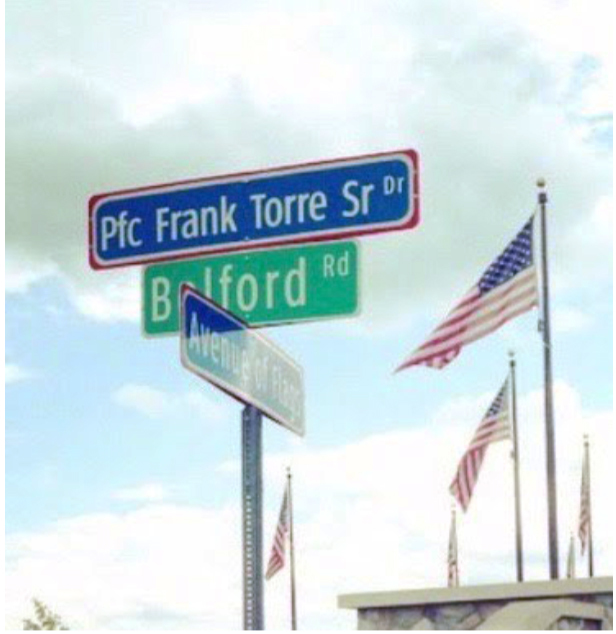 The Great Lakes National Veterans Cemetery acknowledged Frank Torre’s generosity by naming a section of Belford Road the Cpl Frank Torre, Sr. Drive. In recognition of the dedication and service of Pfc. 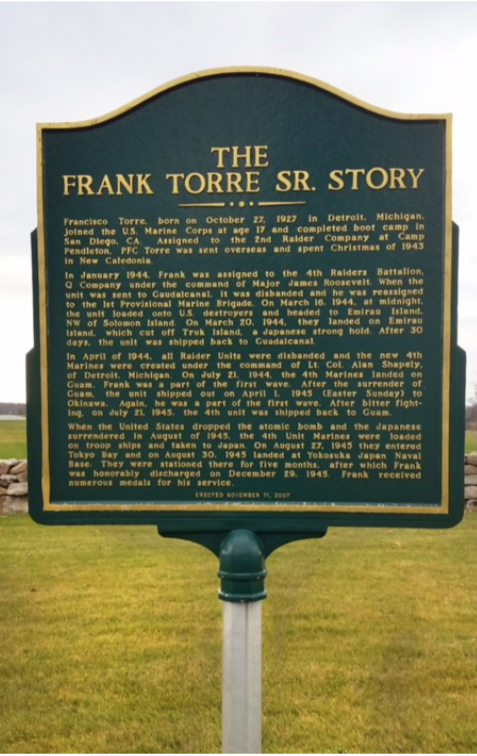 Frank Torre Sr, a plaque was erected to celebrate his heroic achievements and commemorate the many sacrifices of our nations military heroes. The section of the road, known as “PFC Frank Torre Sr. Drive”, crosses the “Avenue of Flags” at the entrance to the Great Lakes National Veterans Cemetery. 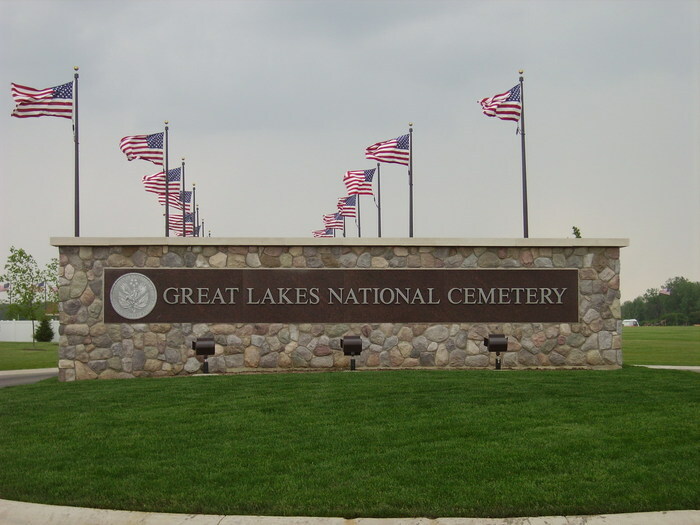 The Great Lakes National Veterans Cemetery is supported by the Great Lakes National Cemetery Advisory Council which in turn supports volunteer veteran service organization with assistance from the Department of Defense funeral honors team.